It doesn’t seem to be an accident that Pee Wee’s Big Holiday (2016) is one word away from being Pee-Wee’s Big Adventure (1985). Even the words “holiday” (in this context meaning vacation) and “adventure” have similar definitions. The two movies have some major similarities: plot wise, they both involve Pee-Wee Herman (Paul Reubens, although at this point Herman is practically a persona unto himself) engaged in meandering comic hitchhiking sequences towards a specific goal. In Adventure, it was a tricked out bicycle that Francis stole, in Pee-Wee’s Big Holiday, it’s getting to go to the birthday party of Joe Manganiello (playing an exaggerated version of “himself”). While the two goals are both arbitrary, the advantage of Adventure’s stolen bike was that we could see Pee-Wee hurt by the theft. He goes through emotional changes, at times he is mean to those around him, he becomes depressed, and even interrogates potential suspects. This is the closest Pee-Wee, basically an adult child, got to an emotional arc in his career. By contrast, the goal in Holiday is general fun. Herman is definitely motivated to see Manganiello, but Pee-Wee’s Big Holiday struggles to show the audience what badness happens if he doesn’t get what he wants. We see him in Fairville, an idyllic 1950’s style small town, and he’s happy-go-lucky. Then, he hits the road to go to New York City to find Manganiello, and he’s happy-go-lucky there, too. This tends to give the story a slow, floating feeling, a creeping sense that nothing really changes from scene to scene. Tim Burton gave Adventure an inspired, weird energy of Pee-Wee entering a psychologically dark world that was still appropriate for Pee-Wee’s sensibilities. In Holiday, John Lee takes the “holiday” aspect very literally, treating the scenes like a travelogue documentary, keeping the camera at a distance and letting the scenes play out in a strangely repetitive verite style. 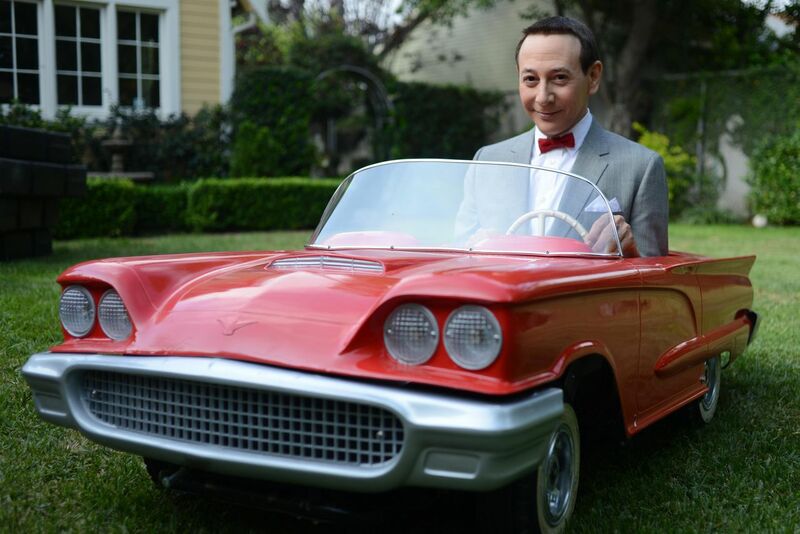 Structural critiques aside, Pee-Wee’s Big Holiday worked for me. But I feel that, unlike most films I enjoy, this is less definitive for all audiences. And that’s because what works isn’t story or character development, it’s just a showcase for Pee-Wee Herman’s style of humor, almost like a convoluted stand-up special with staged scenes that last 90 minutes. If you like it, you’ll like this. All the Pee-Wee tropes that his fans would know are there: the “I know you are, but what am I?” level of dialogic wordplay, a lot of physical comedy bits with household objects familiar to fans of Pee-Wee’s Playhouse (1986-1990) are there, an old bit where he makes a slowly deflating balloon “talk” is treated with an oddly self-serving amount of fanfare here. The jokes push the story through when the story doesn’t want to. 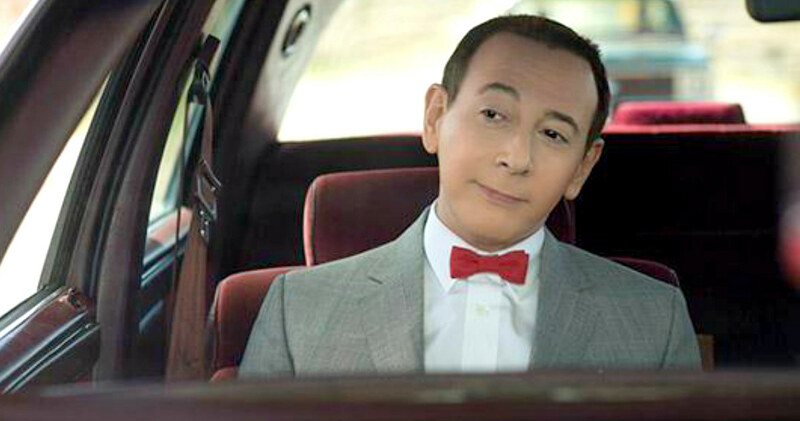 Pee-Wee’s hitchhiking allows him to switch between characters and scene partners, giving different joke formats in each scenario. Gordon The Traveling Salesman (Patrick Egan) was a particularly delightful road trip companion, with his obsessively skillful ability to sell cheesy joke items, and his odd obsession with exposing Pee-Wee to snakes despite Pee-Wee’s fear of them. That’s what passes for character depth in Pee-Wee’s Big Holiday, more jokes for the character to tell. Not all the characters are great scene partners for the Herman. Joe Manganiello, despite being the target of Pee-Wee’s affection, is not exactly a failure, but a disappointment for his level of importance. We’re led to believe early on that he and Pee-Wee are soulmates, finishing each other’s sentences and liking root beer barrels, and then Pee-Wee has to go and find him, with a big gap of no Joe for almost an hour of screen time. It seems very rushed, and their screen chemistry is more assumed than earned. But Pee-Wee’s persona is strong enough to carry the film on his own. The opening of the Pee-Wee’s Big Holiday is an example of the potential for greatness. A clear homage to the Rube Goldberg-ian sequences in Adventure, the movie takes it a step further, propelling him down the street and into his job at a diner down the street. A continuation of what worked before with a sheen of newness. Pee-Wee’s Big Holiday really works best with that in mind. While it bears similarities to Pee-Wee Herman’s past, it still gives enough originality and humor to carry the story through. As long as the idea of that weird high pitched voice of his sounds appealing for over an hour. Jason Luna is currently getting an MFA in Film Directing, and is also an actor, a film critic, a screenwriter, a print/video editor, and anything else creative you need. A winner of 1 million dollars on NBC’s “1 vs. 100” in 2008, Jason has written about game shows, tv, movies, and books for About.com, Geek Speak Magazine, and Boston University’s “The Comment” Magazine (which he also co-edited). He likes to think of himself as a feminist, thinks dogs are better than people, and really, really likes John Waters.